First stop is the Kayangan Lagoon and Lake. Kayangan Lagoon is dubbed as the most photographed spot in Coron as it is widely used as postcards and promotional materials. Lagoon photographs are taken halfway going to the Kayangan Lake and serves as the docking area of tourists boats. In fact, when I was on the boat, the lagoon did not look as spectacular as how it looked from the top view. However, the said view is accessible by at least 10-minute trek but definitely a treat waiting at the summit. After seeing the breathtaking view of the Kayangan Lagoon, it’s now time to see the beauty of Kayangan Lake. After descent from the view deck, be stunned of its crystal clear waters. 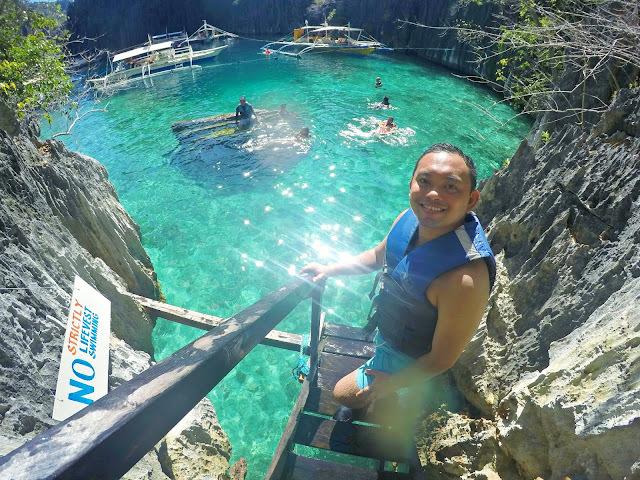 Kayangan Lake is hailed as the cleanest lake in the Philippines and it is surrounded by a karst scenery of limestone cliffs. Its beauty is a sight to behold, but it’s even more stunning underwater resembling a magnificent moonscape. Also, there’s a little wooden walkway which serves as a platform to stash your things if you go for a swim. Next stop is the Skeleton Wreck. The Skeleton Wreck is a 25-meter-long Japanese supply ship that was hit by an air strike during World War II by US Air Force. Most of the parts of the steel hulled ship is keel, ribs and stringers, hence the name Skeleton Wreck. 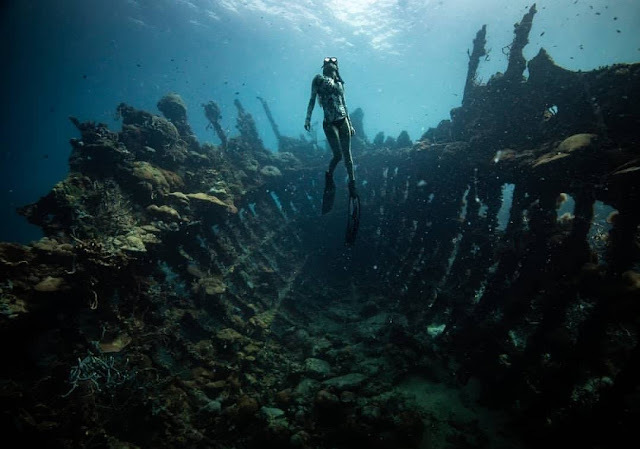 The wreck is an awesome spot for free-diving or scuba diving as well as snorkeling on the surface. Few meters away from the Skeleton Wreck is the Malwawey Reef and Coral Garden. 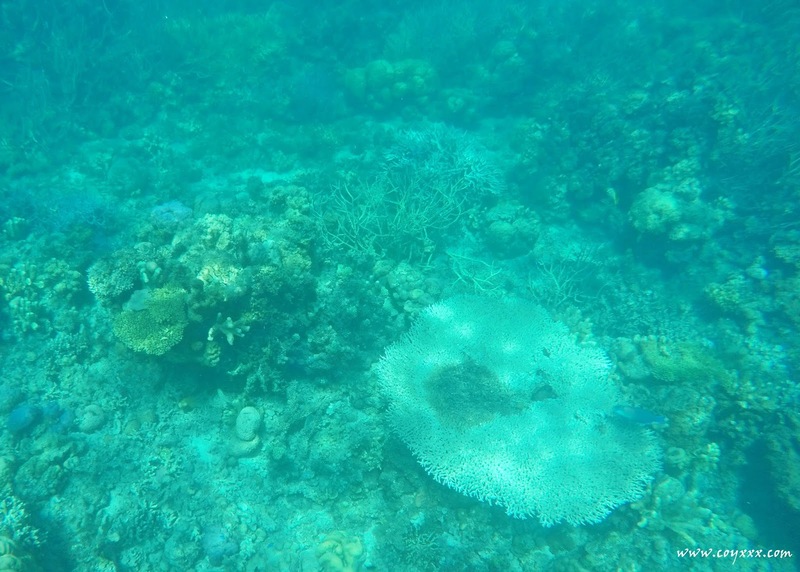 The beauty of the coral garden is still undamaged and remains amazing. 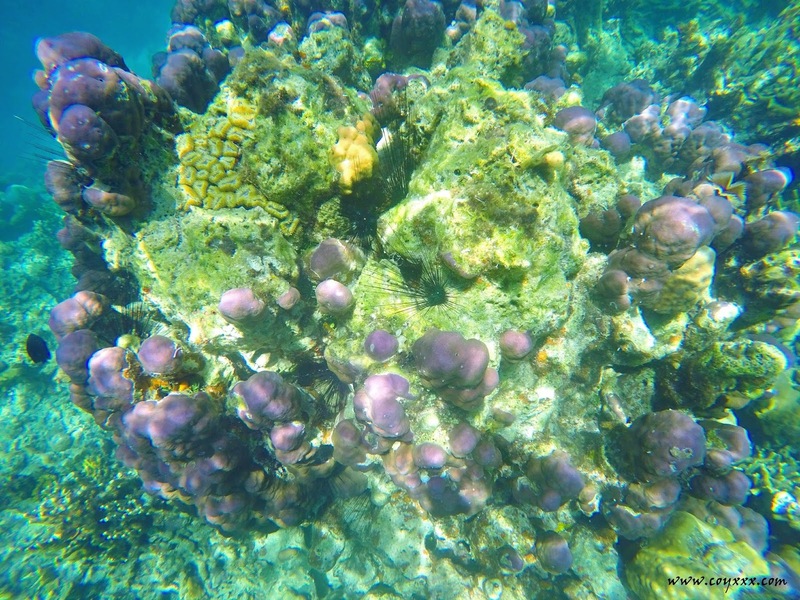 The shallow reef is well and nicely covered with beautiful soft and hard, stony and leathery corals. 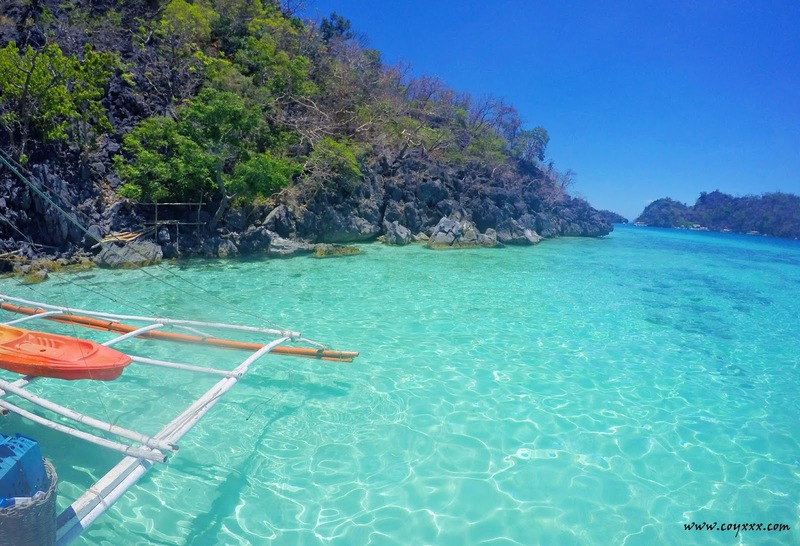 In fact, Malwawey Reef and Coral Garden is home to an abundance of fish and other marine life. Beach 91 is a small, isolated beach surrounded by enormous, picturesque cliffs. 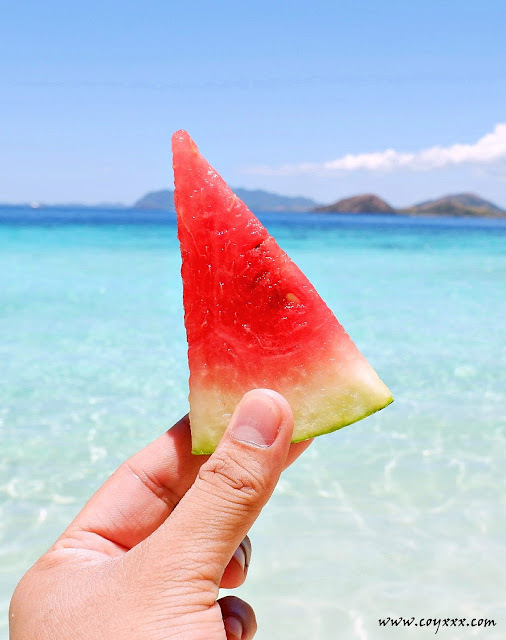 The white sand and the inviting waters of Beach 91 is one of the many reasons why it serves as the regular stopover area of tourists during lunch time. Tourists would flock here and taste the scrumptious buffet lunch prepared by the locals while enjoying the relaxing atmosphere and magnificent view of the ocean. 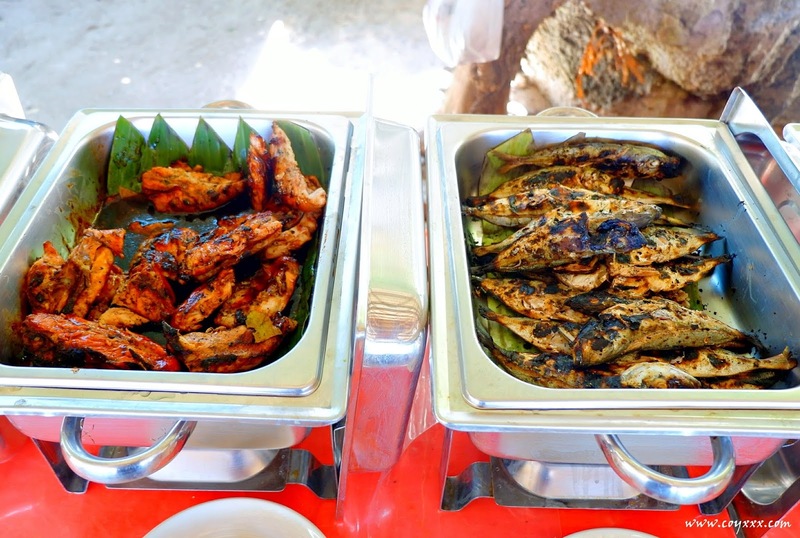 During our visit, they served seafood, vegetables, noodles and the deliciously seasoned and grilled chicken. After lunch, our next stop is CYC Beach. CYC stands for Coron Youth Club. 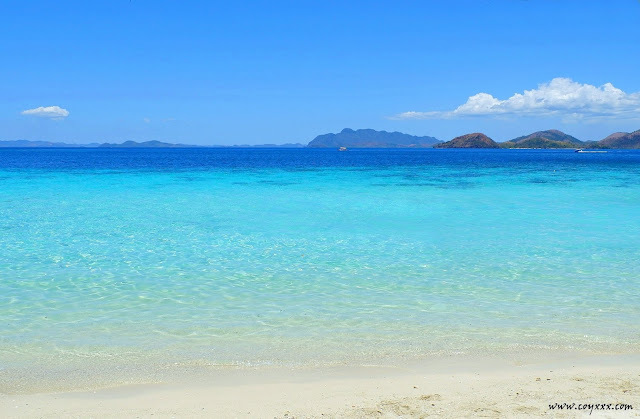 One interesting fact about CYC beach is that it is the only public beach in Coron which also means the only beach without an entrance fee. It is also a favorite destination of locals who want to have a good time with their families. The beach has a picturesque view decorated by rock formations, mangrove trees, and powdery white sand perfect for sunbathing. Sadly, when we visited the island, the tide was quite low and our boat could not dock on the shore in which if we wanted to explore the island you had swim and/or walk quite far. Perhaps this is the most exhausting part of our tour but the view of Balinsasayaw reef underwater was so amazing. 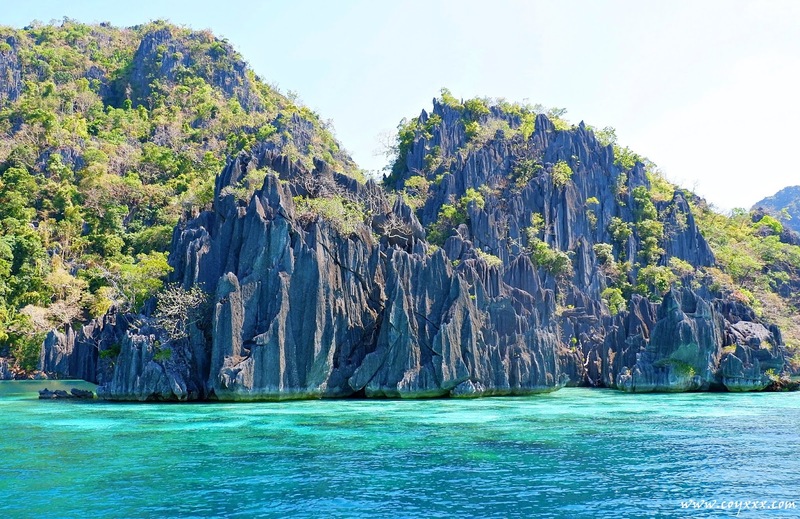 We were able to see colorful and amazing creatures such as huge and colorful branching coral formations and fishes. 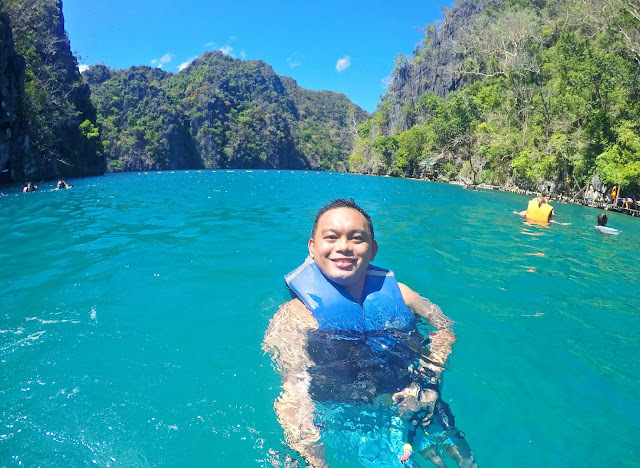 As the name suggest, there are literally two lagoons and the only thing that separates between the lagoons is a giant limestone rock which protects from the current and tides, making the water calm and clear. The Twin Lagoon is the last stop of our ultimate Coron Island tour and this one of the most iconic destinations in the island. 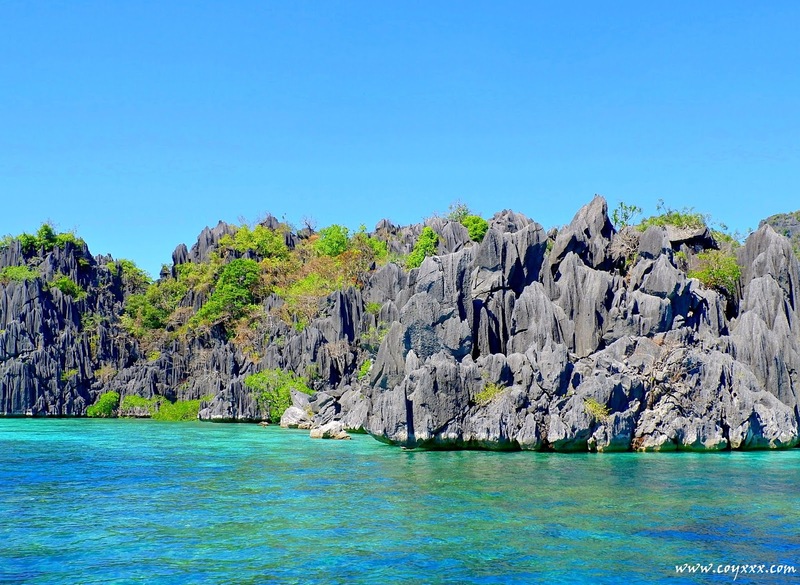 On the first lagoon, we were welcomed by striking rock formations covered in green vegetation foliage and towering over the emerald waters. To travel going to the second lagoon, it’s necessary to jump in the water and climb over the wooden ladder or swim through the opening under the rock. 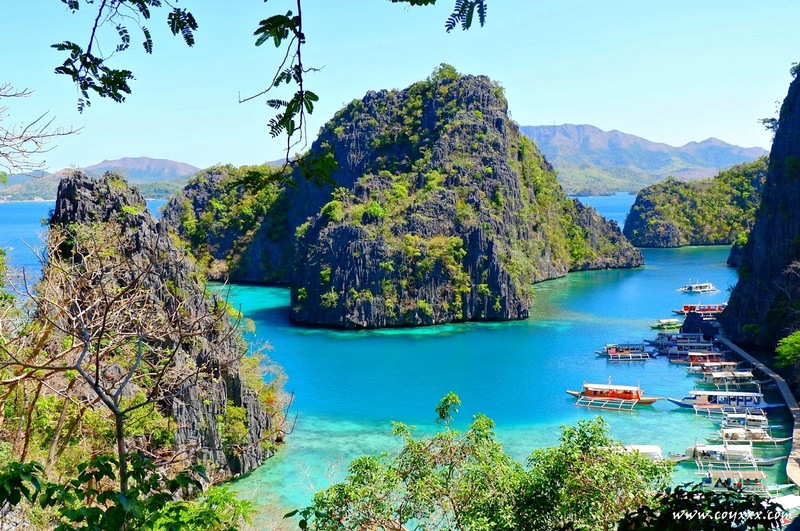 Flying is the easiest and fastest way in getting to Coron, Palawan from Manila and Cebu. The nearest operating commercial airport is the Francisco B. Reyes Airport (USU) in Busuanga Island, Coron, Palawan. Airlines such as PhilippineAirlines, Cebu Pacific Air and SkyJet are the ones that offers direct flights going to Coron. From the airport, take a van bound to Coron town proper. The fare is 150 php. 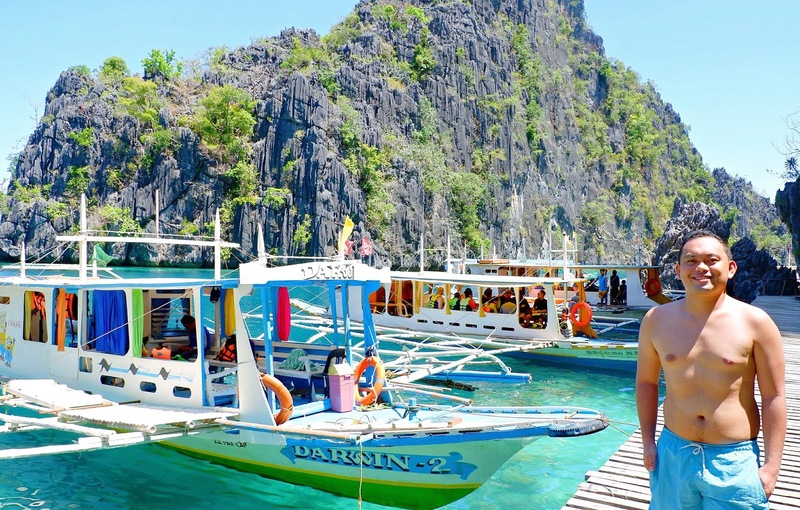 Meanwhile, the cheapest way in getting to Coron, Palawan from Manila is by ferry. 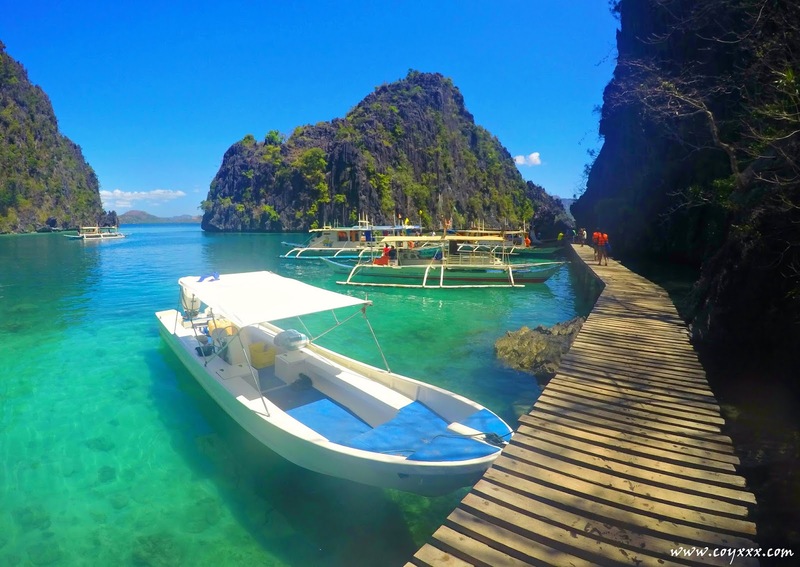 There are numerous shipping lines that plies to Coron such as 2GO Travel, Atienza Shipping Lines, etc. From the Coron Port, take a tricycle going to the town proper. Fare is 10 php but some drivers would charge up to 100 php. Also, Coron can be reached thru ferry from El Nido and Mindoro. If you are a solo traveler or a couple, the cheapest way to explore the islands is to join a group tour. Just like what we did. 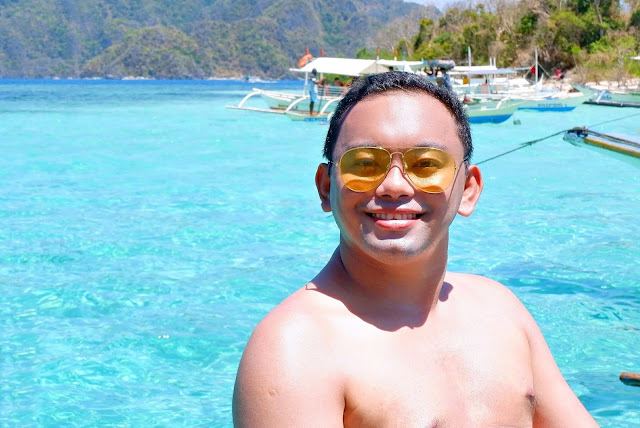 There are a lot of tour operators that offer this kind of package but I highly recommend Calamian Islands Travel and Tours for a well-guided and hassle-free tour. If you are traveling in big group or needs some privacy, you may opt to hire a private boat. You can enjoy the intimate moments and freedom on the boat as well as avoid the crowd. The only down side on this part is that almost every attraction has an entrance fee. Plus, you have to buy your own food but you may ask your boatmen to do it for you. While there is an island version of sari-sari store (floating), it is not a guarantee that every island you visit, they are there all the time. Therefore, it is highly recommended to bring enough water and food during the tour. 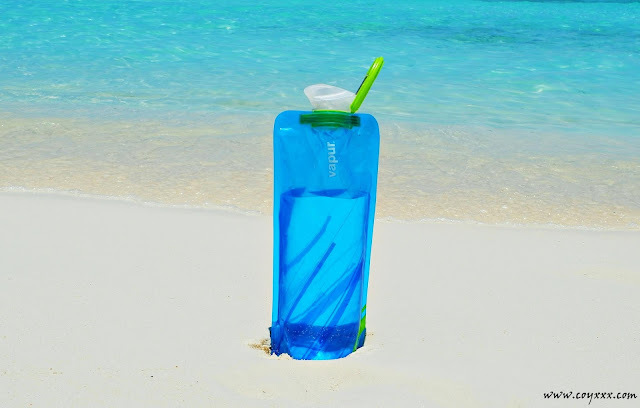 (Good thing I have my Anti Bottle from Vapur Philippines – a reusable and foldable bottle container designed to meet the hydration needs of every adventure enthusiast.) *For orders, visit www.fmr85trading.com or visit their Facebook Page: Vapur Philippines. Bring your own snorkeling gear such as mask and flippers as well as aqua shoes, so that you don’t have to rent one. It is also advisable to bring an action camera and waterproof dry bag too as most are water activities. Don’t forget to apply environment friendly sunscreen protection. Go there on a weekday because there are fewer people. For assistance, you may also contact +63956-5012463 and look for Mr. Arnold Obispado. 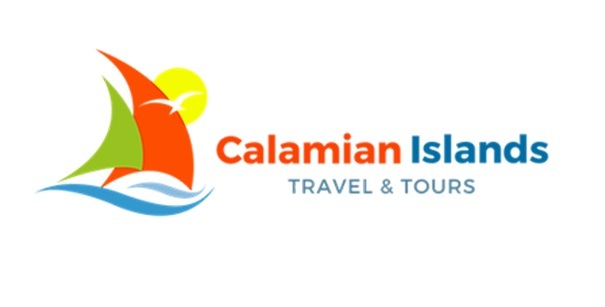 Special thanks to Calamian Islands Travel and Tours for taking us here! DISCLOSURE: The tour was sponsored by the tour operator but rest assured, opinions written on this article are solely my own.